The director of Ghana Make a Difference, Richard Sackitey, is married to Akpene and has one daughter, Kylie Ewe (Kekeli), who is a year and a half old. 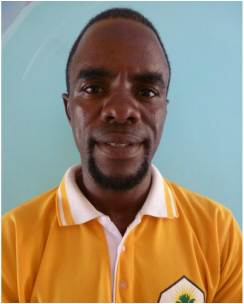 Richard’s favorite food is fufu, and his favorite hobby is preserving families, protecting children, and providing education. Richard loves the ideology of creating the future by strengthening the children of today. He was introduced to Cory and Stacey by a common friend, Norman Hill. Richard loves the diversity and the opportunities he has to meet people with different ethnicities and backgrounds. He loves getting on the kids' level because he says it makes him more like a child, as his Heavenly Father has asked him to be. Richard says he finds himself more forgiving and careful about how he speaks. Prince began working for GMAD in the spring of 2016. Soon after college, he worked in a school administration department, but soon got laid off and spent a long period of time looking for work. He tried landscaping for a while until one of Richard’s friends told him about GMAD. Prince’s dream has been to work for fulfillment and not just for money. “You can love everybody,” he says, “it’s just a matter of decision and choice. You need to decide to love them.” Prince attributes his love for GMAD to the staff and the uniqueness of each child. 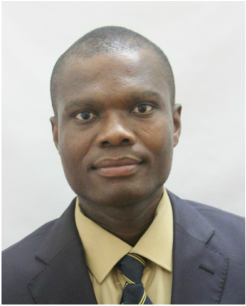 Ebenezer has been part of the GMAD family since January of 2014. He met Cory and Stacey as a tro tro driver; when they needed to go somewhere, they always called him. The tro tro business was good, but hard. The long hours made Ebenezer drowsy and unfocused at times, but the money was good, so he stayed. When he was hired by Ghana Make a Difference, he was very excited because it meant he would have no more trouble with the police pulling him over, and he would no longer have to wake by 3:00 or 4:00 in the morning. Ebenezer says he wants to be a father of twelve children. He currently has four children and says it is okay if he isn’t able to get eight more because he considers the children of the home his own, and he is happy for the opportunity he has to be a part of their lives. 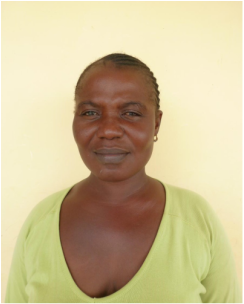 Cynthia started working at GMAD February of 2014 as a cook for the home. She has been cooking for children’s homes for over twelve years, having worked in two other homes before GMAD. She says she cooks because it is what she loves to do. She loves the kids and teaching them about how to take care of things in the kitchen. “If you don’t love them, how can you care for them?” she says. 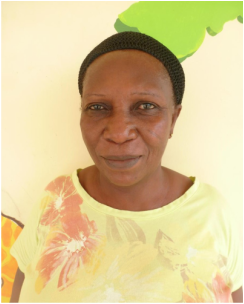 Cynthia is very grateful to GMAD for giving her a roof, a bed, and food to eat, and for keeping everyone in the home happy. 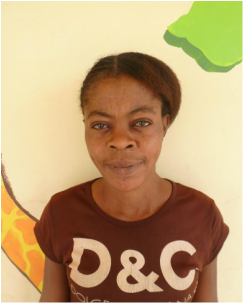 Cynthia began working in the special needs portion of the children’s home at GMAD (the Acacia Shade house) in May of 2016. This program is designed to give a safe haven to the disabled children in Ghana, who are wrongfully labeled with superstitions. Before Cynthia came to work at the home, she was walking many miles to Accra to plait hair and had no way of knowing when her next pay or meal would be. She thanks God every day for the day her friend and now coworker, Penallor, told her about the job opening at GMAD, where she now has, stability and comfort, physically and emotionally. Cynthia thanks all of the volunteers that come to GMAD with happy spirits and willing hearts. She prays for God to bless them for their efforts and donations of time, money, and materials to the program. Penallor (or “Little P”) remembers starting her work for the children’s home of GMAD on a Wednesday afternoon, the 25th day of May in 2016. She remembers her cold life before, in a small Liberian refugee camp, not knowing when the next time she would work and be paid for a meal for the day. She, like so many other refugees, remembers having to pay for the water she and her family would need for the day, which at times was not enough for one person, let alone an entire family. She remembers paying to use a washroom, and of course for the food in her belly and roof over her head, which was also at times insufficient. She is so grateful to GMAD for letting her work at the home, where she has found peace and refuge from pain and suffering. She finds happiness in helping the children in the Acacia Shade house and being with her coworkers, Cynthia and Esi. She thanks all of the volunteers for their example of love and charity. She prays that they will keep coming and bringing her bright, smiling faces and willing, serving hearts. 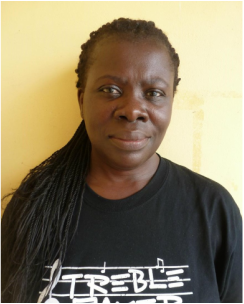 Esi spent many years in the Liberian refugee camp with Cynthia and “Little P”. She spent many years of her life caring for a deaf son, and an older autistic woman with turrets syndrome. Esi has plenty of experience working with special needs patients. It seemed fitting for her to get a job at GMAD working in the Acacia Shade house. She is very happy for the work she is able to do and for the children she is able to love. Esi considers the children of Acacia Shade her grandchildren and loves and cares for them as if they are her own. Esi says she is very happy with her present circumstances. 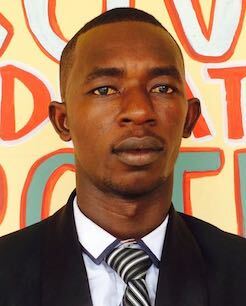 Khrystopher has spent the last 22 years of his life in a Liberian refugee camp in Ghana. He began working for GMAD in May of 2016. 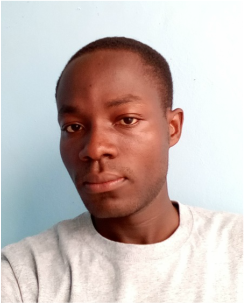 Khrystopher has worked as a primary school teacher, and through his volunteer work with many organizations serving the refugee camp, he is well known as a leader in his community. One day at church he met Richard and told him of his journey from Liberia to Ghana and asked for a job at GMAD. He was interviewed and hired as night security. Khrystopher is a joy to be around. He loves to talk about his story and his family, who he is very close to. Akua came to Ghana Make a Difference in February of 2014, after meeting Cory and Stacey Hofman, the GMAD founders, at a West Africa Children’s Foundation conference. After losing her job, Akua moved her four children out of their home and prayed desperately for a job to make ends meet. A while later, after the Hofmans came back to Ghana, she sent her daughter Elizabeth to meet Stacey in the market. 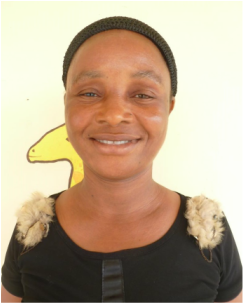 Friendship blossomed, and Akua was given a home and job with GMAD. Akua has a deep love for children and families. She is one of the first women to begin working at the home. Lydia is one of the nannies of the home. She has been working at GMAD since February of 2014. Lydia has a great love of children and the work she does at the home. Having children of her own, she understands the importance of providing protection and love for children. Lydia works hard to provide for her mother and daughter who live away from the children’s home. She is so grateful to GMAD for their dedication to this just cause. 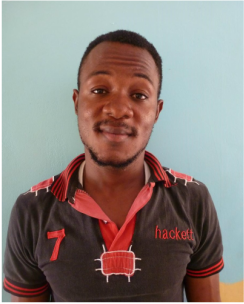 Stanley came to work for Ghana Make a Difference in August of 2014, while he was still finishing high school. 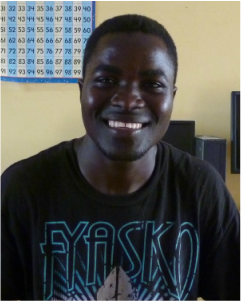 Before he came to ask Richard for a job, he had been pushing a wheelbarrow to make money to pay for his education. Like many Ghanaian jobs, the hours were long and hard. He found himself struggling. Stanley shows his gratitude for his job by asking for nothing from GMAD, only that he can stay on the compound and work to show his appreciation. Sammy was hired onto GMAD after meeting Richard at church, when he made an announcement that GMAD was hiring. Richard had seen Sammy work as a volunteer a few weeks before, so when Sammy applied for the job, he was granted an interview very quickly. Those who know Sammy know he is a very hard working man that doesn’t stop. Sammy is the go-to man, from security guard to grounds keeper, Sammy does it all. He says the one thing he loves about Ghana Make a Difference is that it keeps on progressing. For anyone who has spent time working with Abu, they can all agree -- the man cannot be human. Hailing from Sierra Leon, Abu came to Ghana Make a Difference to help with the electrical work in the compound. 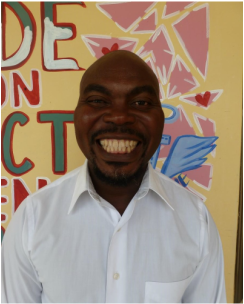 After a while, GMAD invited him to move away from the Liberian camp in Buduburam to do more work for them. He is currently working on building a house for the Ghana Make A Difference staff and their families to live in. 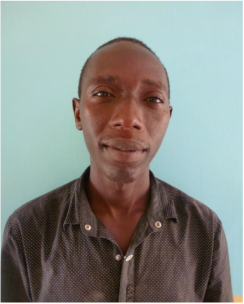 Solomon is the children's home social worker. He has been working with children and families for over 25 years. Solomon does not believe in creating a society with more vulnerable children. His goal is to create a society with good, strong, intelligent families who are aware of each other’s needs and are all willing to pitch in and help those who need it. “I just do the best I can do,” he says. Solomon's "best" is a true blessing to children and families at GMAD.